Ocean protection is crucial in fighting climate change – that is one of the key messages emanating from the United Nations Climate Change Conference in Bonn, Germany. What are we giving in return? We are giving the oceans a lot of plastic litter. Presiding over the conference for the first time is the Pacific island of Fiji – itself no stranger to the devastation caused by climate change including storms and sea-level rises that have forced entire villages to relocate to higher ground. Protecting the oceans means cutting marine pollution, especially by plastic. There are warnings that if nothing is done, there could be more plastic in the oceans than fish by 2050. Booming plastic production and mismanaged waste disposal are the main culprits according to experts. 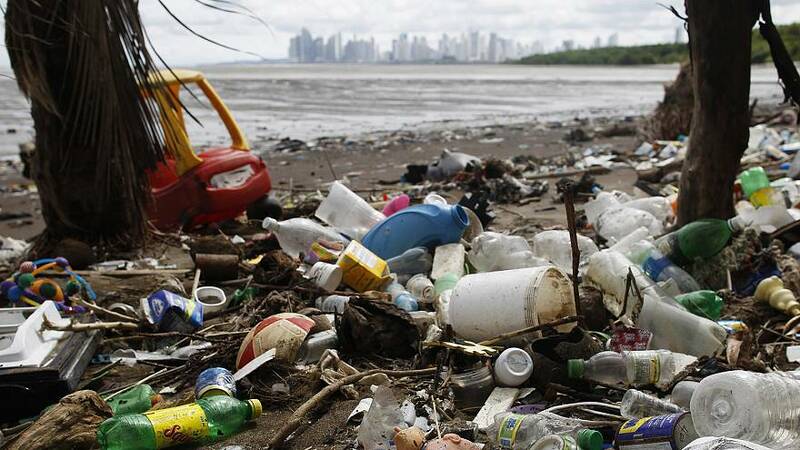 At its level, the European Union has pledged to reduce marine litter by 30% by 2020. Karmenu Vella, EU Commissioner for Environment, Maritime Affairs and Fisheries: “The oceans are very much the prime regulators of climate, they are absorbing 90 percent of the planet’s heat, they are absorbing 30 percent of the planet’s carbon dioxide, they are giving the planet some 50 percent of the oxygen that we need. So we are getting all these benefits from the oceans. Karmenu Vella: “First of all, I think it’s not enough to have someone, whether it’s the European Union or somebody else, leading because this is a global issue, we need global solutions and most importantly, we need global action. And no single country, no single continent can deal with this huge problem on its own. So, yes, we are pushing because we see a lot of urgency which is needed, we are seeing that things, threats and pressures are moving much faster than we thought. Karmenu Vella: “That’s a very important point. I think you’ve hit the nail on its head. Why? Because when people see that all these issues are being discussed at a global level, they are being discussed at global conferences, at G7 level, at G20 level, their first impression might be ‘It’s a big problem, but I don’t have the solutions, governments have to find the solutions.’ No. Each and everyone of us is responsible for this disaster and each and everyone of us has got to be part of this solution. Eurostat figures published in 2016 reveal that households are responsible for 9% of acidifying gas emissions compared to more than 70% for agriculture, forestry, fishing, manufacturing, transportation and storage combined.